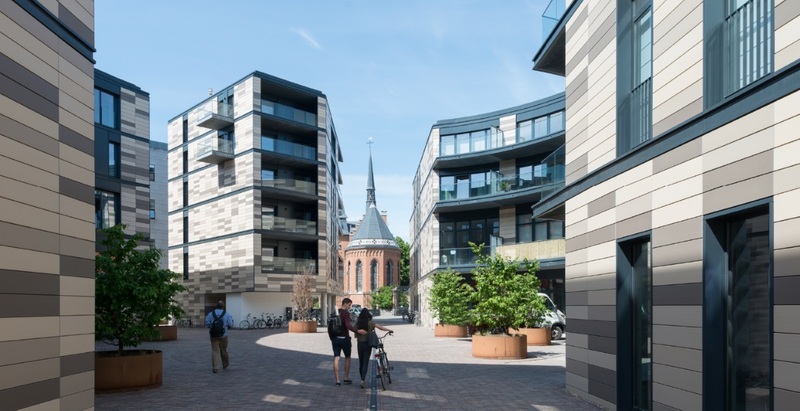 The mixed-use Vesalius project in Leuven serves as a meeting place for various users, it also creates unity and connection in a neighborhood that before seemed completely detached from the city. The open nature of the whole is of the utmost importance, with an eye to integrating public functions – particularly the movie theater and auditorium – and embedding the project into the social fabric. 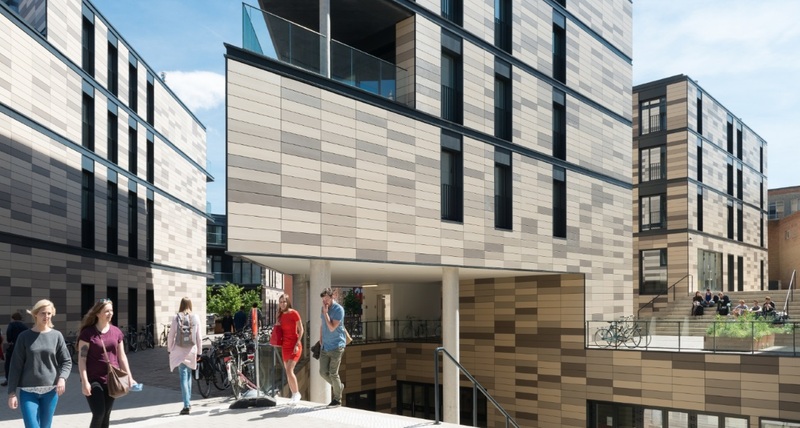 In addition, in interacts with Groep-T University and formulates a relationship between the existing and new buildings. 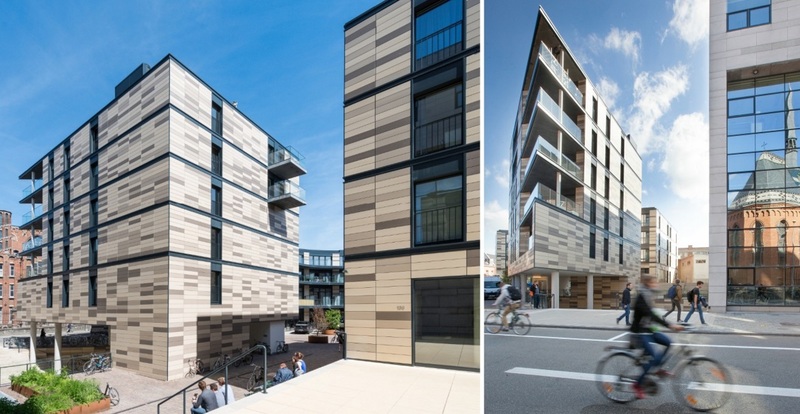 The keyword of the project is dynamic – it works as an interplay of new and old, where the contemporary character embraces historical heritage by integration of renovated façades from 17th and 18th century into the new construction. 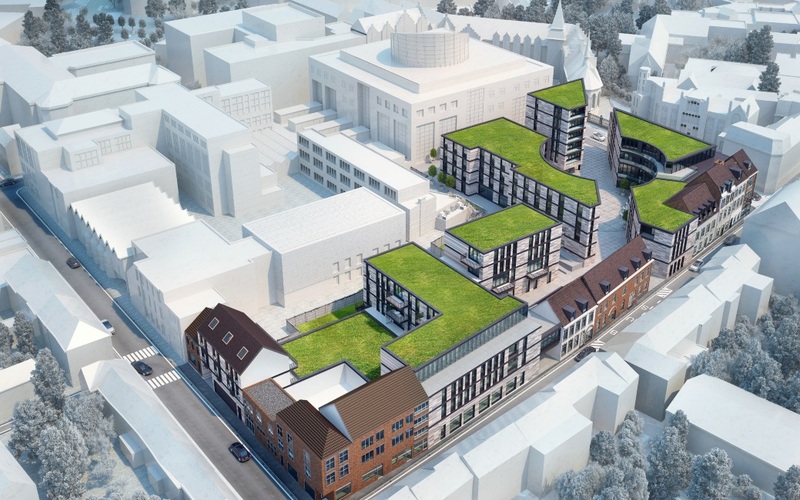 As the result, the site does not stand alone, but is a part of the urban space and despite its considerable size, it takes its natural place in the existing fabric of the city.